Bengaluru has emerged to be one of the best locations for foodies to thrive in! Online services for food delivery in Bangalore has made quality food accessible for everyone, to even those who cannot afford the time to dine out because of their busy schedule. Who wouldn’t love to order a fresh bowl of salads, fried rice or a pizza online every day for lunch, when tempted with a special chef crafted new menu every single day?! Many of us know that Bengaluru is usually called as a garden city, or the Silicon Valley of India, or even as a fashion capital. But did you know where it got its name from? There is a legend that says Bangalore got its name when a Hoysala King called it ‘Benda Kaalu ooru’ – meaning the ‘city of boiled beans’. It seems on one of his hunting trips, he apparently lost his way and after wandering for a while, he landed up in the house of an old forest-dwelling woman who fed him with ‘benda kaalu’ or boiled beans that he loved! Even today, Bangalore serves the best of delicious dishes, be it of its own origin or otherwise making it a foodies’ paradise. Just that, nowadays we don’t even need to go to a particular place to eat. With so many niche vendors competing to offer the best services for food delivery in Bangalore, foodies are having an easy time to try a variety of cuisines delivered right at their doorstep, that too within an hour of their order. It has almost become an everyday affair for many Bangaloreans to order food online, as it takes care of avoiding the travel through the almost-always-jammed roads of Bangalore. More than fifty percent of the population in Bangalore is from other states of India and a small fraction is even from other countries. This makes Bangalore a truly cosmopolitan city demanding a variety of tastes. Over the years we found that one common dish loved by anyone at anytime is pizza. 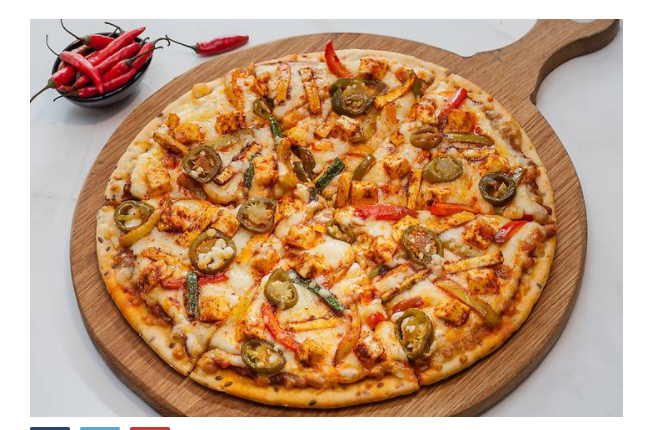 Most of them choose to order pizza online for various reasons- There are many service providers who offer at competitive prices, there is a lot of variety to choose from and also pizza is not a dish that can be easily made at home. There are even food delivery services that provide to choose from more than 150 restaurants across Bangalore while ordering pizza online! Bangalore is also one of the cities having a huge inclination towards organic and healthy ways of living. So, if a food delivery app provides chef crafted, fresh and no preservative food, it goes without saying that Bangalore will be the first to choose it. Apart from pizzas, food delivery services in Bangalore provide a variety of cuisines ranging from American, Continental, Pan-Asian, North Indian, South Indian, World, Fusion and what not! This apart, the range of mousses, pastries and ice creams takes one into a world of indulgence. It seems the chefs constantly innovate new items and add them on to the lists, making it interesting. If you have not tried them out yet, maybe it is time to check out some delicious dishes at the comfort of your home!